On the Wednesday that we left for Italy I was invited to the launch of Nomu’s Baking Kits which I unfortunately was not able to attend. While we were away I was sent an email asking for my delivery address and when we got back, a lovely box was waiting for me at the post office. In my box were two baking kits and I decided to try the breakfast muffin kit first. I added the optional pumpkin seeds to the crumble which was a healthy and tasty choice. I have never made muffins with a crumble topping and I really cannot wait to try this again. I had to add 5 minutes baking time to the muffins but there is a note on the box that says baking times may vary due to temperature fluctuations in your oven as well as the size of the muffin tray. The only thing missing from the instructions was how to cool the muffins. I left them in the tray for 15 minutes and then tipped them out and left them to cool completely on a wire rack. I baked them on Friday night and Dave and I had one to share almost immediately. I put the 11 remaining ones into my cake saver and they stayed fresh for me to serve as dessert for the boys on Monday night. The baking kit is versatile and so easy to use and with the addition of cream cheese frosting I am sure these muffins can be elevated from an excellent breakfast treat to a tea time delight. The box lists the contents, provides a shopping list and has a complete ingredient list on it. Our regulations in South Africa are quite strict about the ingredient list and I was pleased to note that the list included which items contain gluten and the fact that the salt is iodated. Once you open the box it can easily be flattened so that you can follow the how to bake instructions. Also included is a try this section with different ways to use the baking kit. For my scone and cobbler kit, I made the berry cobbler rather than the scones. I cut my strawberries in half and this resulted in my fructose and flour mixture getting quite sticky which meant not all the berries were coated. The fructose is the only substitution I made. I sprinkled caster sugar on top and baked the cobbler for 35 minutes and it burnt slightly in a few places. I should have taken note of the size of the balls of cobbler I placed onto the berries, and made them slightly flatter. 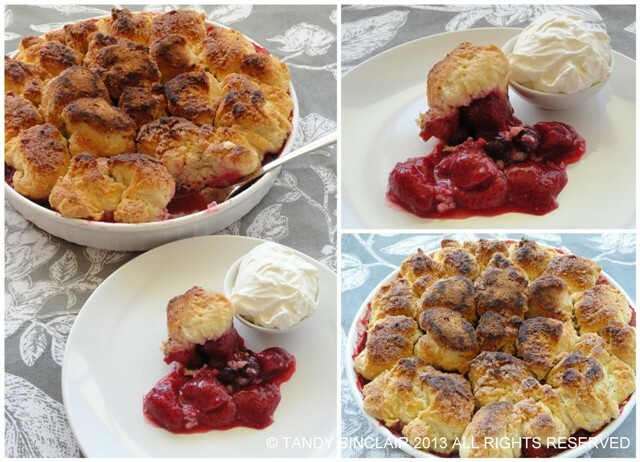 The strawberries became amazingly sweet from baking, but the cobbler mix is not sweet at all, and together with the cream made a perfect dessert. I do not usually buy baking kits of any sort due to the sucrose content but I would keep one of the Nomu baking kits on hand as they are easy to use and work wonders when you have drop in guests, or when you feel like baking something easy. Disclosure: I was sent two Nomu baking kits. I was not required to write a blog post about them. All opinions in this blog post are my own. This post is in line with my blogging policy. I was also sent 10 Nomu recipe cards which I am giving away. 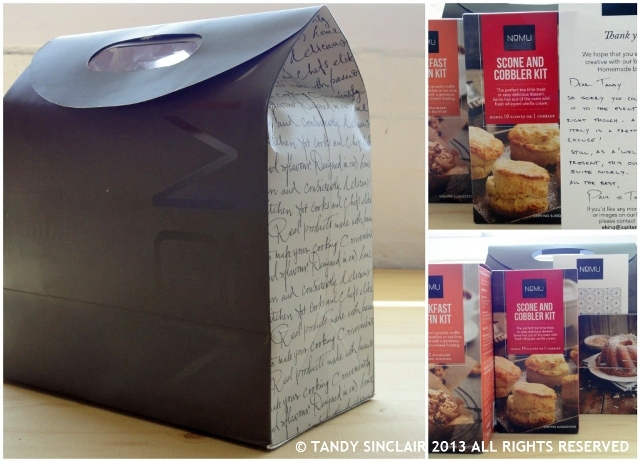 leave a comment below telling me what you would make with scone and cobbler baking kit. I will inform the winner by email. I will send one email only and if the winner doed not respond within 24 hours I will choose another winner. What nu lovely interesting baking kit! 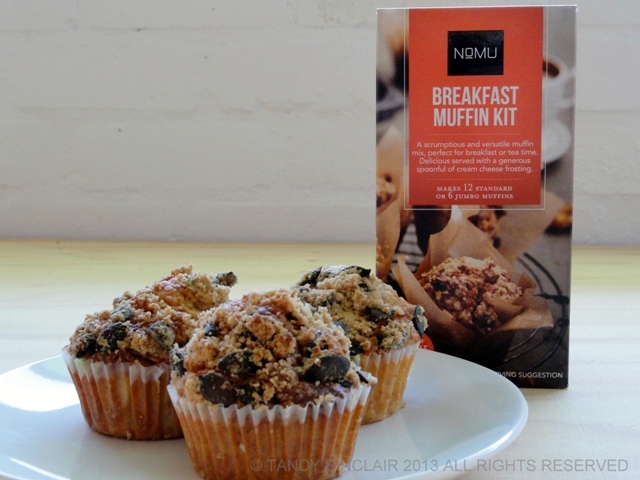 looking forward for the nomu baking product here on Indonesia…..
What a lovely baking kit, great products from Nomu. Nomu are really going from strength to strength. It’s Fantastic to see something so far. This is great and just what i’ve looking for.